Pascale B is French. She has come to painting in a “funny way”. First, as a children’s book author. Then, she gradually discovered the power of images and their ability to tell stories better than anything else to everybody. So she started illustrating articles. 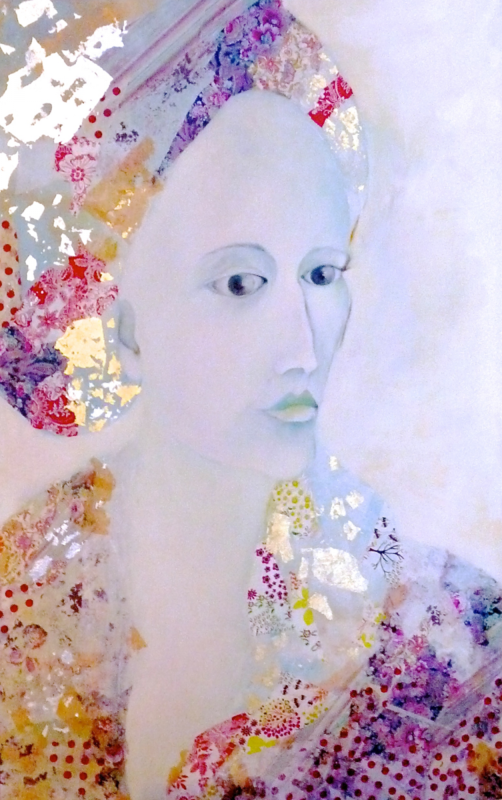 Today, even if her painting is figurative, she is more into fantasy & fiction than reality. She finds it more liberating. Her work is based on simple lines (often collage) in which she adds dynamic & contrasted colours and patterns. artists are made to create. Who made ​​them like this, or why? I feel compelled to paint by nature. This is essential for me. And in essential, there is “essence”. That’s just the way I am, I guess. And if I do not paint … I just don’t feel like myself.